Copyright © 2001-2002 by Gary A. David. For proper paragraph format, please click on the frames scroll bar and drag it to the left. Thank you. region of the sky was formerly known as the Gate of Cancer. 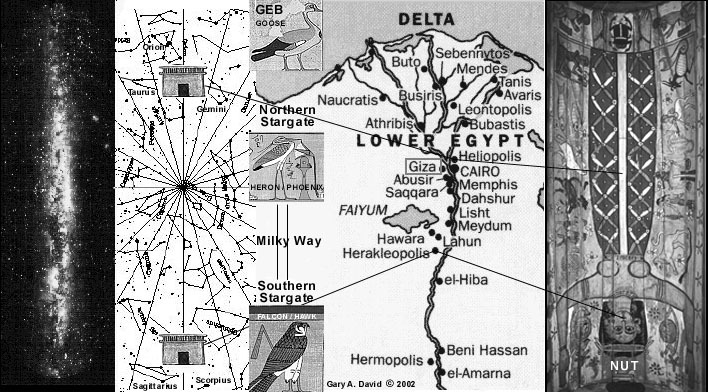 The southern stargate located at the opposite end of the Milky Way between the constellations Sagittarius and Scorpio was likewise known as the Gate of Capricorn.2 We currently know that this latter region of the sky points to the center of our galaxy, where scientists believe a mysterious black hole lies hidden.